and a new mindfulness that results in a re-contoured, sleeker body that conveys elegance and strength through the Smart Barre™ Technique. Helping you learn to listen and know how to evolve your body is our specialty. Experience our hallmark class, Smart Barre™. Women of all ages, sizes and fitness levels join together to feel taut and toned in our open level class. out. No tutus or dance background required. body and mind by concluding with a total body stretch. *A prerequisite of 10 Smart Barre™ classes is required before attending Smart Cardio. taking 12 minutes a day to connect your mind and body to a state of relaxation through deep breathing can greatly reduce stress in your life. 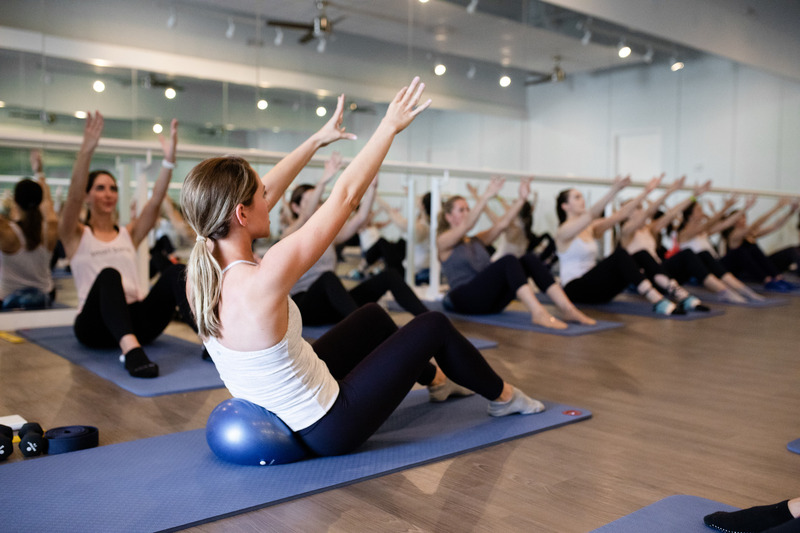 Our Smart Stretch and Restore and Smart Yoga Flow classes will guide you to that calm place through intentional stretching, breathing and movement. Experience our hallmark class, Smart Barre™. together to feel taut and toned in our open level class. of your shape and posture from the inside out. No tutus or dance background required. the heart rate while strengthening the entire body. create the aesthetically pleasing musculature of a dancer. with a total body stretch. is required before attending Smart Cardio. through intentional stretching, breathing and movement.